Our software comes complete and ready to use. No need to purchase additional modules or options: all programs are fully functional CAE tools. Mathematical solver methods optimized for each particular application. The INTEGRATED API enables the direct control of program functions by utility scripts of macros created in tools such as MATLAB®, Excel and Visual Studio. Scripting can control the entire process of model creation and testing. 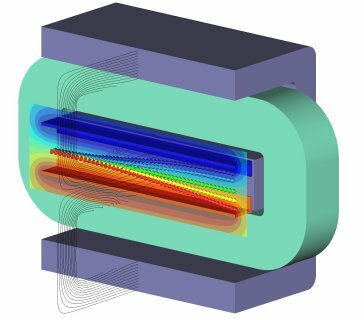 Parametrics provides an easy to learn GUI based method of testing designs through a range of operating conditions, as well as modifying basic designs to obtain optimum performance.